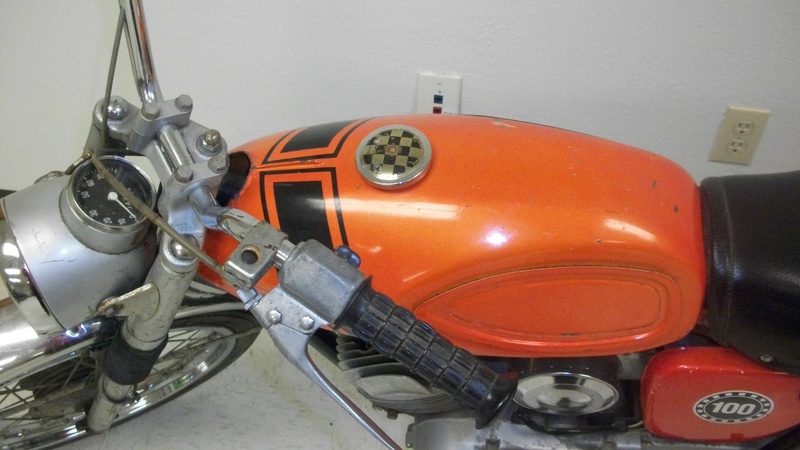 Very rare and hard to find little 2 stroke racer from 1971. 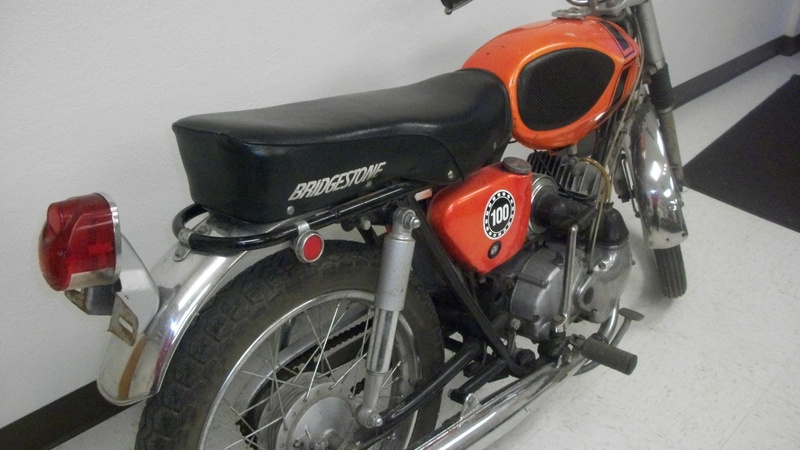 It’s a gorgeous and all original Bridgestone GP100 that we picked up last summer as a non-runner. After 9 long months and many countless hours of staring at it , it is still a non-runner. It wants to be driven very badly but we just never seem to get the time to start on it. 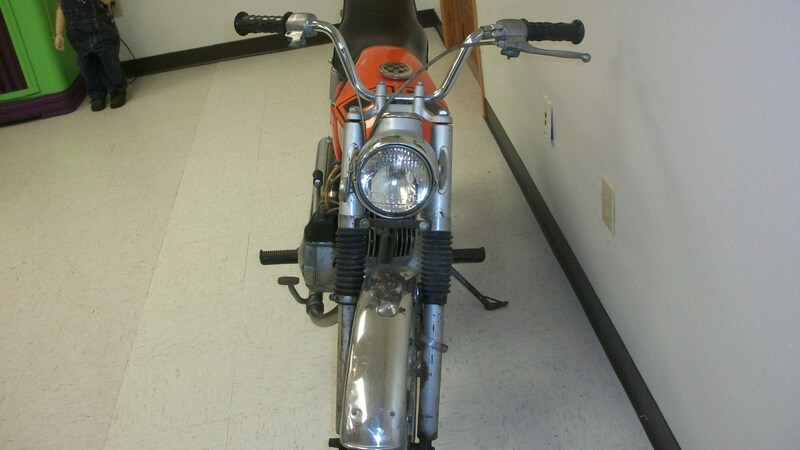 From what we can tell, the bike is 99% complete. The engine and transmission are both very solid and we don’t believe that there are any issues with them. 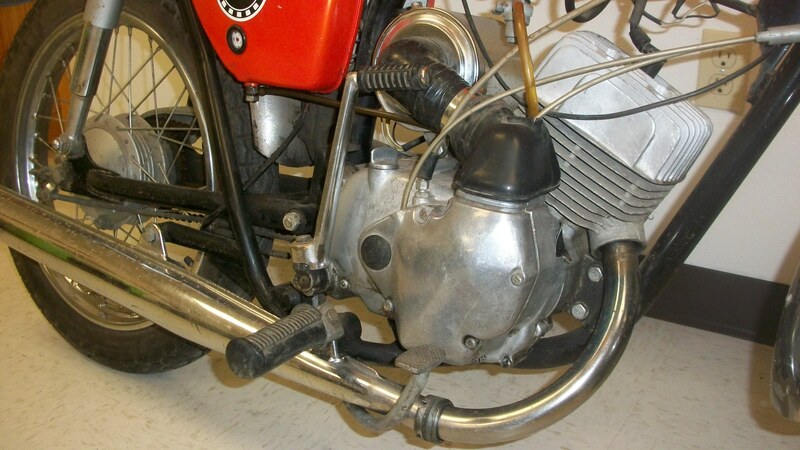 It will need a clutch actuator piece, carb choke and a few cables to get it back on the road. A nice Spring day spent down at Sportwheels in Jordan, MN should allow you to round-up any missing pieces. This little rocket ship would make a great low-cost restoration project for someone. 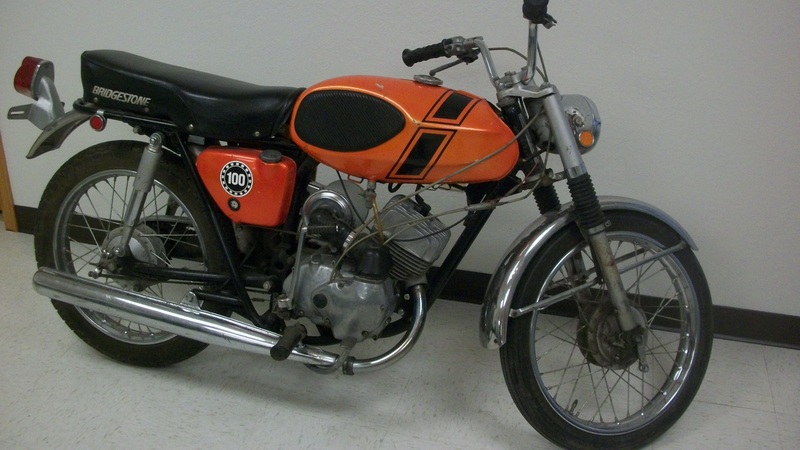 A GP100 fully and properly restored should have a value in the end of around $2700.00-$3200.00…so do the math! It could be a great investment on top of everything else. 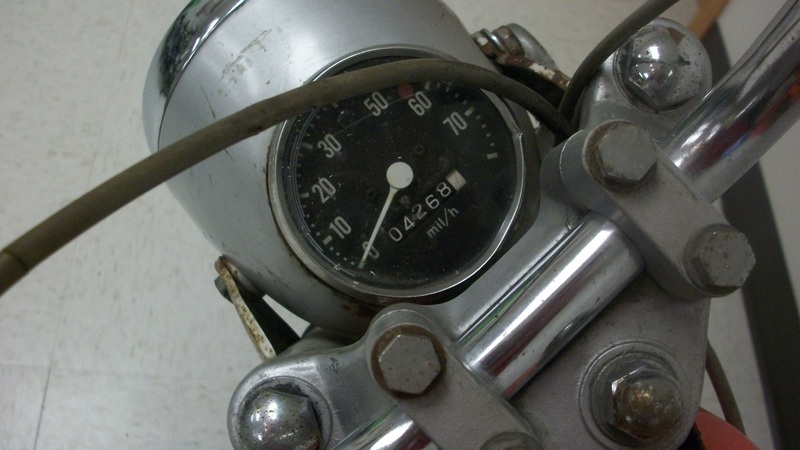 The original factory specs on this bike claimed a top speed of 70 mph! A little port work and a custom expansion chamber exhaust will having you holding on for dear life! 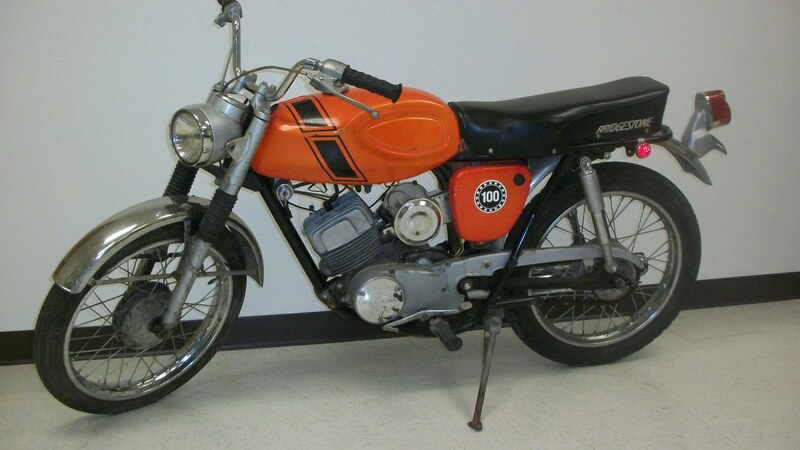 Bridgestone motorcycles were short-lived but were not short on technology at the time. 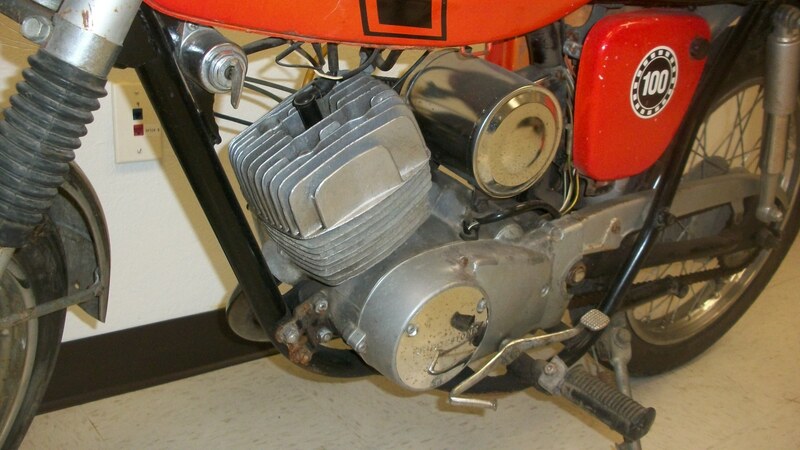 The Japanese 2 stroke engines were very well made and out-performed everything comparable in its class! 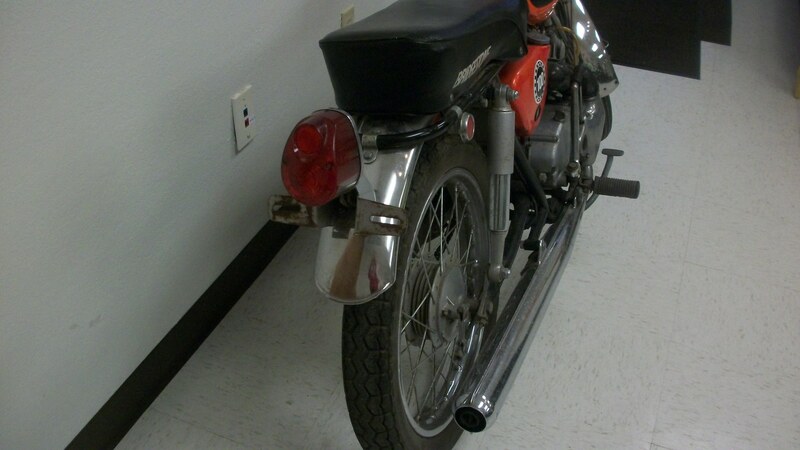 Do some research and come out and inspect this bike. We can stare at it together for a while before you load it up! Sorry but this bike is sold with a Bill of Sale only. You will have to do your due diligence and work with the DMV regarding acquiring a new title.